In the age of the #MeToo movement, the powerful idea of women mentoring women is more important than it ever was. So in March he announced Getting Online As Leaders (GOAL), a digital literacy and leadership project to encourage 100 urban women leaders to empower and mentor five young tribal women each for a year. “Mentorship is important because there are mindset and confidence issues,” he says. Manzar, a Mint columnist, thinks pairing tribal women who are starting out on their professional journeys with experienced, confident working women who have internalized the tricks of the trade—all on WhatsApp—will benefit both parties. He plans to ask mentors to contribute Rs5,000 each so they take this gig seriously, and visualizes an annual jamboree where the sisterhood meets up. In the age of the #MeToo movement, the powerful idea of women mentoring women is more important than it ever was. Women’s mentoring networks exist in many companies but making women from two Indias meet over WhatsApp, you must admit, is a more productive way of using that medium than as a speedy disseminator of fake news. Manzar is routinely asked to lecture students and inspire them with his story as a successful social entrepreneur. “But they need regular mentorship to convert inspiration into actual results that come from hard work. Yet mentoring is always considered to be an intangible, non-financial resource-based asset that should be available all the time,” he says. Most start-ups in this field use the words mentoring and volunteering interchangeably. “Mentoring can happen without exchange or payment involved, as a mutual learning. 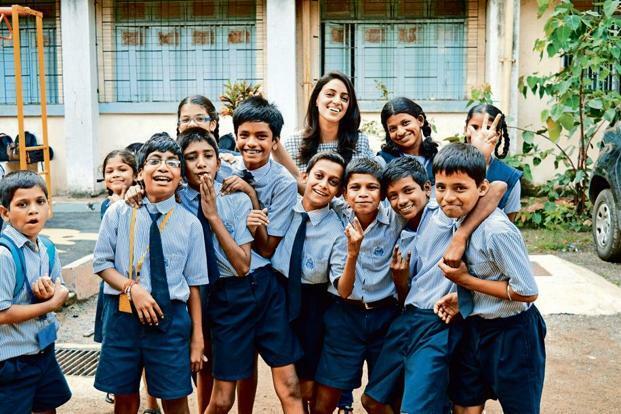 Mentors have a lot to learn from the kids; they get to immerse themselves in a whole new world,” says Trishya Screwvala, founder of The Lighthouse Project. It’s widely recognized that a mentoring relationship where both parties gain something from their interaction is the kind that works best. At The Lighthouse Project, volunteer-mentors, largely working professionals aged 21-31, commit a minimum of 4 hours a month over eight pmonths, or roughly an academic year, to work with underprivileged students from classes VIII-XII. Here too, they bridge a gap, usually that of career counsellor. As the composition of the Indian workforce changes, and children from lower middle class and disadvantaged homes see a better life within their grasp, the role of helping them make the transition from their parents’ livelihoods to this new, now accessible workplace can be smoothened by a good mentor. There are a host of start-ups in this area and everyone, including the Union government, is working on programmes that utilize mentoring. Raman rattles off a host of mentoring ideas that are tradition in the army: a platoon commander’s notebook that keeps track of the personal lives of the soldiers in his charge, the idea that anything that happens to anyone in that platoon is the commanding officer’s responsibility; and the institution of a bar, a safe space to spill your guts even if it is courteous to phrase your contrary opinion with the prefix “permission to speak freely, sir”. Outside the army, the rules of mentoring are defined differently. Chandhok has always offered a hand to Indians on the international circuit—“I’m a phone call away if anyone needs help”—but Gautam Maini, the father of the two drivers, was the first to take his offer seriously and formalize it. In the world of competitive sport, the distinction between mentor and volunteer is clear. “Nobody should be doing it voluntarily, you have to have accountability for it. It’s quite clearly a management contract,” says Chandhok. “Boris Becker was paid to be with (Novak) Djokovic, there’s a degree of professionalism in the relationship.” I’m waiting for the time when mentoring will be a fulfilling and profitable occupation for more of us who have experiences and inspiration to share.